BOOK 1 — Talon de Gilles, son of a Christian knight of Jerusalem during the time of the Crusades, is only 13 when ferocious Saracens attack his family’s caravan and take him captive. 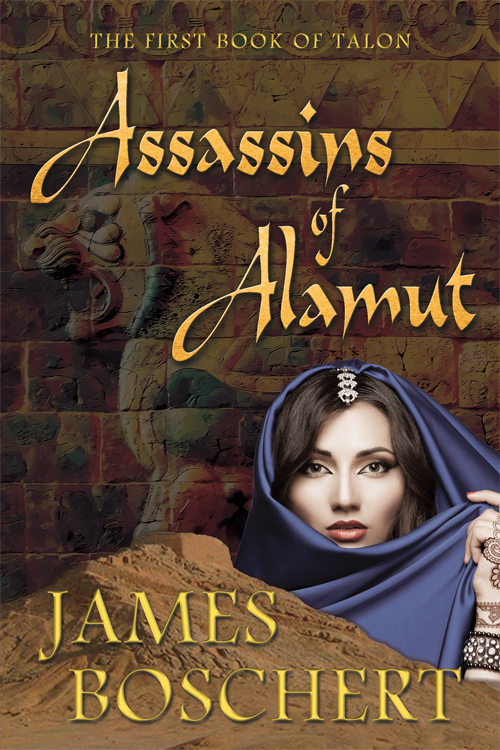 Instead of selling him into slavery, or ransoming him, his captors impose a dire fate upon the boy, forcing Talon to become one of them, an Assassin of the Ismaili, the most feared and hated sect in all of Persia, and beyond. The Master of the Ismaili has plans for this young ferengi, who will be able to pass unnoticed among Europeans to reach targets that not even the most skillful Saracen could approach unchallenged – if he survives his training and initiation. But when Talon, his friend Reza, and Rav’an, the Master’s own sister, discover treachery in the stronghold of Alamut, they must flee, using all their skills to evade the ruthless assassins who are sent to hunt them down, from the frozen wastes of snow-laden mountain passes to the flowering gardens of Isfahan and beyond.